Why is Amazon backing a horse in the Kentucky Derby? One of the horses in Saturday's Kentucky Derby is named Audible. At 7-1 odds, he's even one of the favorites. And he now has one of the biggest companies in America rooting for him: Amazon, thanks to its ownership of the company Audible. Amazon CEO Jeff Bezos, the world's richest man, is not one of the horse's owners, either. But that hasn't stopped Audible — the company — from cheering on the horse that shares its name. Audible, independently of Amazon, has launched an aggressive social media campaign to promote the horse. Audible's official Instagram account had this to say for its 177,000 followers on Wednesday: "When you watch the #KentuckyDerby this Saturday, look out for Audible (the racehorse) in post position 5 and cheer extra loud! #GoAudible." Audible's Twitter account is touting an interesting promotion to urge people to back the horse. 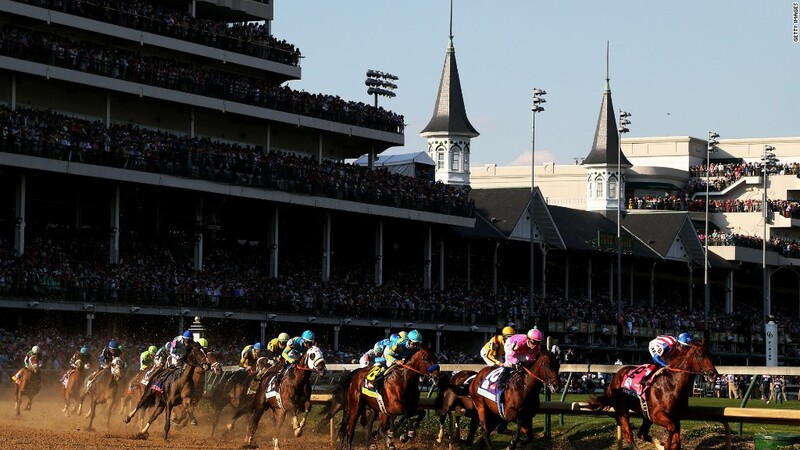 The company told its 223,000 followers that "if Audible the racehorse wins the #KentuckyDerby at @ChurchillDowns on May 5th, we'll give away free 'American Pharoah' audiobooks to everyone in the U.S.! (As if you needed another reason to cheer him on.) #GoAudible http://adbl.co/goaudible." In case you forgot, American Pharoah is the horse that captivated the sports world in 2015 by winning the Kentucky Derby, the Preakness Stakes and the Belmont Stakes — horse racing's elusive Triple Crown. He was the first Triple Crown winner since 1978. And over on Facebook, Audible has a video showing how "Audible the app and Audible the racehorse have more in common than you think!" The company even has a special section of its website touting all its #GoAudible promotions. Audible isn't just taking advantage of the coincidence to sell more audiobooks. It's also making donations to the Thoroughbred Aftercare Alliance, a nonprofit that works with organizations that help care for racehorses after they retire. Amazon's Audible donated $15,000 to the TAA after Audible, the horse, won the Florida Derby at the end of March. And the company plans to donate $25,000 more to the TAA at Churchill Downs on Saturday before the Run for the Roses. Now we just need to see whether Audible the horse can benefit from some of that Amazon magic. If the horse wins in Louisville on Saturday, it just may be further proof that anything with even the most tangential connection to Bezos turns to gold.